Rest days are a chance to get everything caught up. There is bike maintenance such as cleaning and also lubing the chain. The mechanics hold “bike shop hours” and so brought my bike in. My trek bike has a front suspension with a “lockout” cable that keeps it in fixed place. Unfortunately this cable had come loose and so the suspension was also going on flat road. We tightened things again, though the #2 set screw might be becoming stripped. Will see how it goes from here. 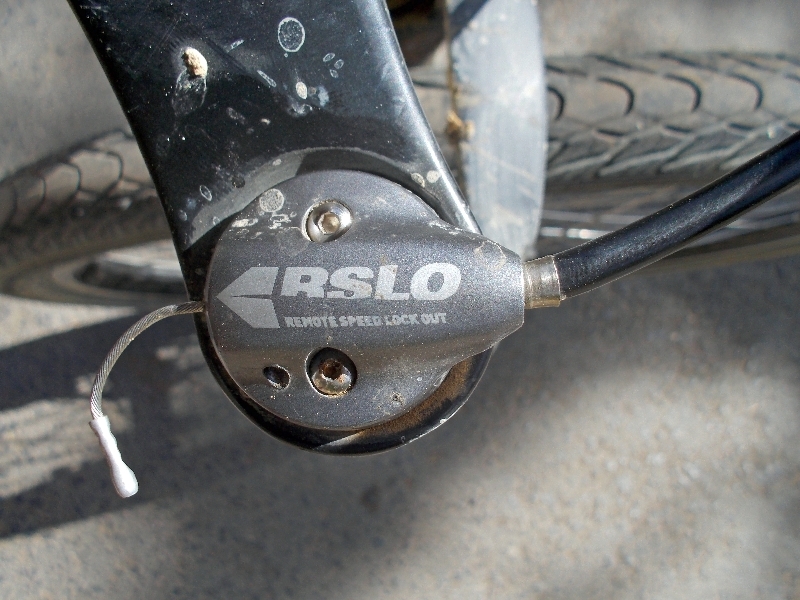 The photo below shows the “remote speed lockout” mechanism, the part that might be stripped is a set screw that fits inside the hole to left of the bottom allen bolt for the cap. The medics also hold “clinic” so folks can stop by with questions, nothing needed there. With two rest days, can take it easy now but might then go down into town after mid-day. We spent a total of thirteen cycling days and two rest days in Sudan. Sudan is difficult to get into (at least for westerners) and also don’t have sense of many tourists. That is nice in many ways as locals haven’t quite built up much dependency on tourists (e.g. in Egypt when tourist industry is down, those dependent on it were pretty aggressive on drumming up business). In Ethiopia it seems like they see enough tourists so they will “charge what the market will bear”, whether it is 8 birr for a coke or 40 birr. In contrast it was consistently 2 or 3. The northern seven days of cycling were deserts with much sand and rock. Houses were square with low mud walls. There wasn’t much agriculture. Many more mosques here and even smallest towns would have a minaret tower and even in some of the desert camps we could hear call to prayer. Dongola in center of this area also was very Muslim and shut down on Friday. The Southern parts were more agricultural. Buildings were still mud/adobe but more likely round. There were more people than in north and they did some farming and herding. The three days of off road cycling brought us through these smallest places – very few other tourists here. We saw some mosques but nighttime noises were more likely animals than calls to prayer. Overall, Sudanese people were friendly but just a bit reserved. This made it easy to travel and stop. There were also less of them and less aggressive kids than Ethiopia (so far) and Egypt. Overall enjoyed my travels through Sudan and glad to have seen this.